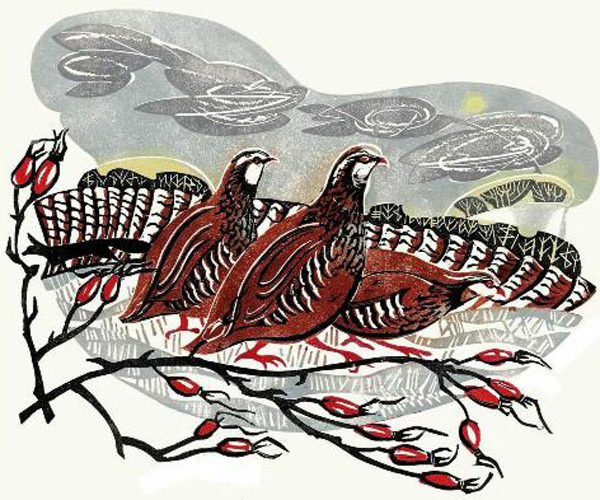 Penny Bhadresa is a Suffolk-based artist specialising in ORIGINAL LINOCUTS. 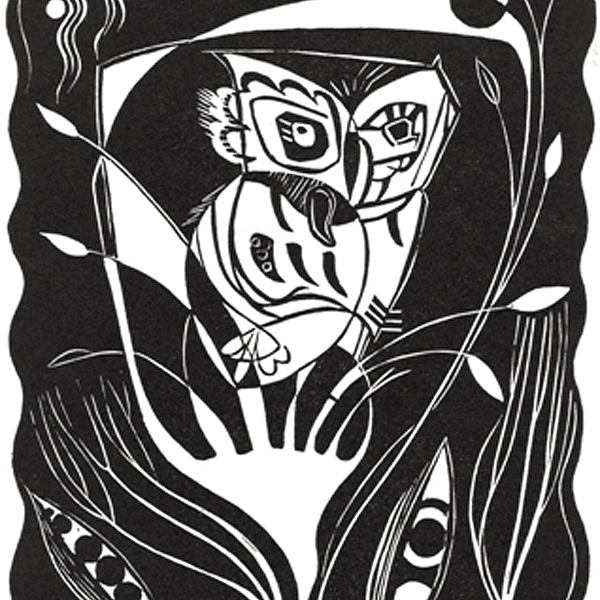 Each linocut is hand-printed as part of a limited edition; Penny uses one of two techniques – either inking the linoblock in one go with several colours or using multiple linoblocks inked with one or more colours per block. She uses a relief printing press together with hand burnishing to add depth and tone. 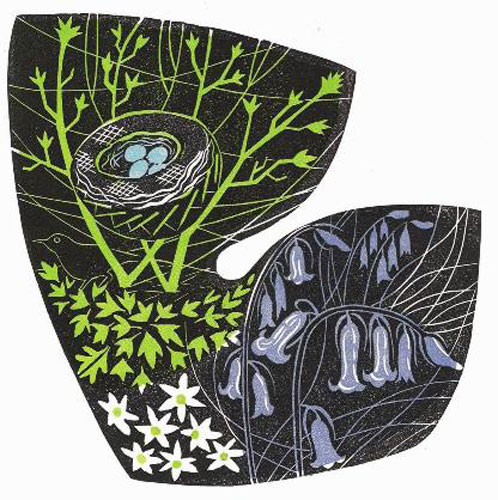 Penny also enjoys the medium of mixed media collage and sometimes incorporates collaged areas (chine collé) into her linocuts to enhance texture. Penny particularly likes the medium of linocut for the boldness and strength of image it produces. Subject matter is drawn from her response to nature, landscape and garden settings. She looks for the underlying shapes and forms that impose structure and design on a subject and tries to incorporate these into her work. Evoking atmosphere through use of colour, texture, pattern and line is crucial. The finished lino prints are characterised by bold stylised images that combine areas of flat colour with areas of subtly layered inks to produce tonality, depth and richness. Penny’s career as an artist began in the mid-90’s, graduating in 1995 with a degree in Art and Design from the University of East Anglia. Since then she has been steadily building a reputation for her work, exhibiting at various galleries in East Anglia and beyond. She is a founder member of Artworks and was its Chair from 2003 to 2013. 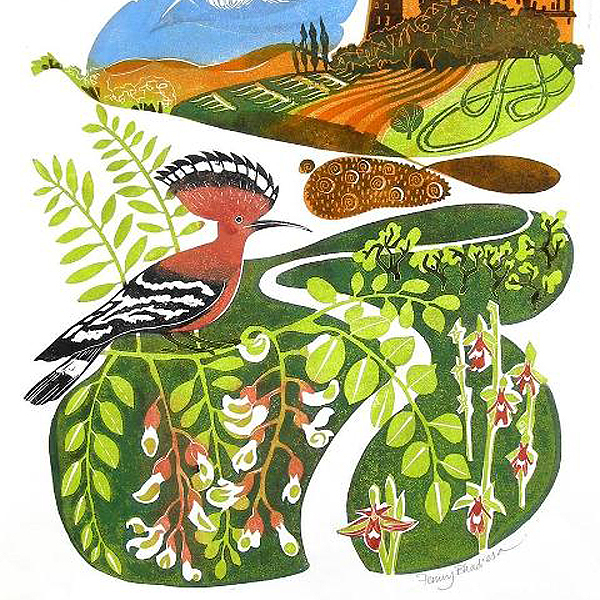 She is a member of Suffolk Craft Society and in 2011, she was commissioned to illustrate Carol Klein’s monthly column in BBC Gardens Illustrated magazine. Her work has featured on the front cover of The Rialto poetry magazine and was also included in Aldeburgh – a Song of the Sea (2013).